MEDIC FIRST AID Basic Life Support for Professionals (BLSPRO) is designed for individuals expected or required to perform pre-hospital basic life support. BLSPRO introduces a new approach to learning, using an integrated management style of care, instead of the standard step-by-step approach for professional-level BLS/CPR responders. Our unique talk-through scenarios facilitate learning and retention through small-group practice. With an emphasis on working in teams, the BLSPRO program covers adult, child, and infant skills for both individual responders and emergency teams. 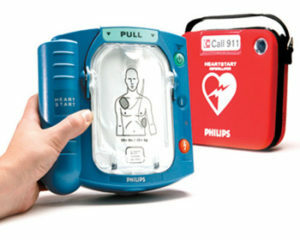 It is designed to meet national and state CPR training requirements for EMS and healthcare responders. *This program is taught one-on-one as requested or you can schedule a class for your group or business.